Proceeds of all sales benefit the IAFC Foundation Training, Education, and Scholarship Funds. The second edition of "Firefighting With Henry's Model T" is a major improvement of the 2008 edition and is twice the size of the first edition. 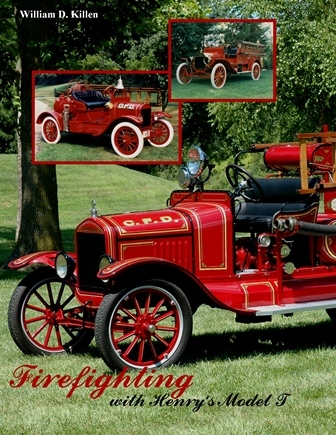 It features hundreds of color and black and white photographs of firefighting apparatus built on the venerable Ford Model T chassis. The second edition features interesting stories of unique brands such as the Hallock Chemical Engine, the history of several fire departments where their first motorized fire apparatus was a Model T Ford and Model T fire apparatus from Australia, Canada, New Zealand, United Kingdom and Finland. The IAFC Federal Military Section Commemorative Coin is here! These coins make great anniversary gifts or recognition awards.